It’s no secret that I love to shop, whether in-store or online. However, with the latter, I usually find myself overwhelmed by the amount of choices I have…. A lot of guys have the same issue, and childhood friends Ethan and Hicham realized that. For that reason, they decided to launch an e-commerce store with a different approach. 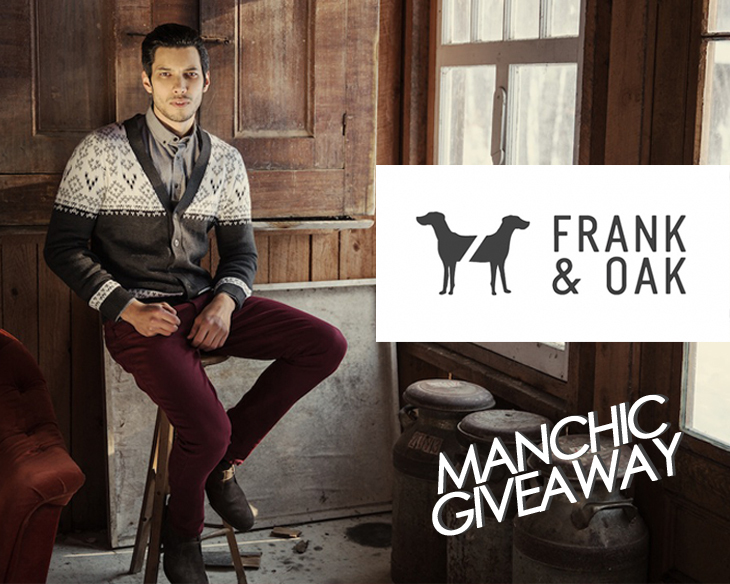 Frank & Oak is a men’s clothing shop that introduces brand new collections every single month. Your subscription to the website allows you to browse through items that are high quality, affordable and well curated to your interests. – No more endless options! In addition to standard online shopping, Frank & Oak offers a monthly trunk or “create” service called “The Hunt Club” where every month you pick your 3 favorite items (which they ship to you for free), you try them on, you keep what you like and you send the rest back. – It’s like having your own personal shopper online! Pretty sweet, right? You have until December 31th to submit your comment. What are you waiting for? Start commenting!!! I really like the puffy down jacket on the right side of the second image in this post. Looks warm, stylish, and comfy!